Filed to: TWO..NO...FOUR WHEELS GOOD?Filed to: TWO..NO...FOUR WHEELS GOOD? After following him down the block. Revival is literally around the corner from my studio. They just put on another Handbuilt show this weekend, but I didn’t get to go this time. 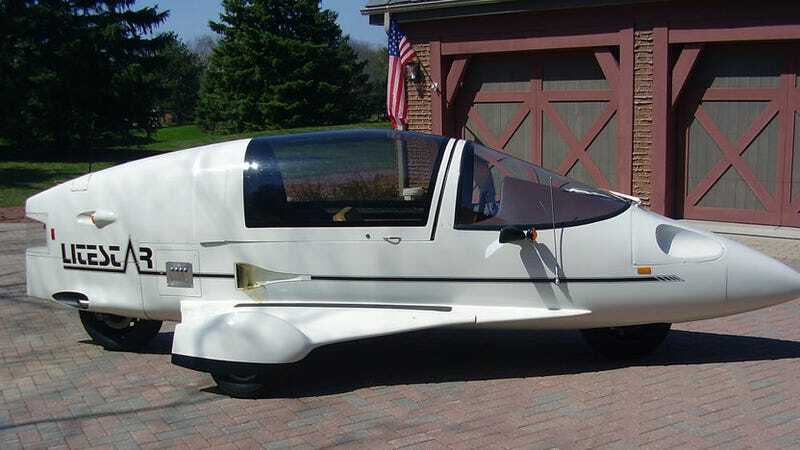 It’s pretty much a scooter-powered Cessna 150, but eternally grounded to the ground. Hilarious. I appreciated that he gave me a moment to chat.